snap shot of a very unusual "mushroom" during one of my "forest" walk shooting birds. Last edited by mervin; 20th Jan 2006 at 23:34. 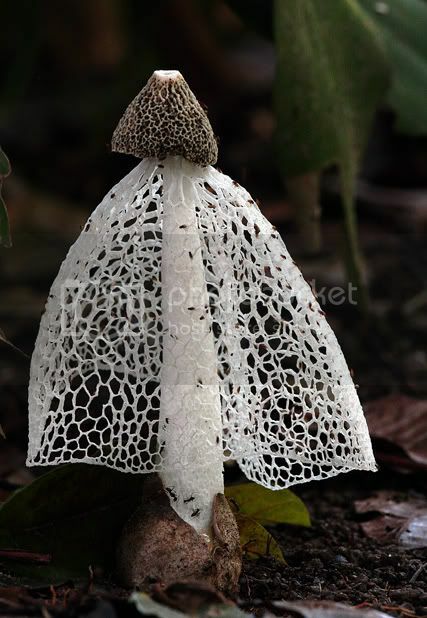 Mushroom wearing skirt? Mushroom with white wedding dress? OMG!! are those fruit flies!!! i must go read up on this mushroom!!! Looks like someone dropped his/her umbrella during the trail!!! these are all male flies, as they are all chionging the "skirt". Sarawak also got this mushroom. Nice!!! thanks..now i can start my search!! I thought I saw ants on them instead of fruit flies. ants at the bottom (stem area) and some kind of flies on its "lace spread"